"Turn Coat" Book 11 of "The Dresden Files"
Turn Coat by Jim Butcher packs a punch like all the other 10 "Dresden Files" books, and once again I was sucked into Wizard Harry Dresden's Chicago and never wanted to leave. Harry Dresden is a wizard and private investigator in Chicago, and was recently made a warden of the White Council. The White Council is the government, so to speak, for the world's wizards. The wardens are all the Council's police force and are out to capture and punish anyone practicing black magic. Usually that punishment is death. Now, the strange part about Harry being made a warden is that he was once on probation for the possibility that he may start to lean to the dark side given his family tree and it's history. While Harry was on this "probation" Warden Donald Morgan was assigned to watch over Harry's every move. Morgan did his job well, in fact the way Morgan did his job was to torment Dresden to the point of nearly accusing every move of Dresden's to be black Magic. In other words, Morgan and Dresden were enemies fighting for the same side. So when Morgan is accused of murdering a member of the White Council, and escaping their prison, no one would ever expect Harry Dresden to hide him from the others. But, that's just what has happened, and since Harry is always fighting for the underdog, who else could help him? Harry is awakened by banging at his door and opens to find a bloodied and beaten Warden Morgan. Morgan tells Harry he must hide him. When asked why, of all people, he should help Morgan, Morgan tells Harry he is on the run from the White Council because they suspect him of murdering one of the White Concil wizards. When asked why they suspect that he says, "Because I was found standing over the body with the murder weapon." 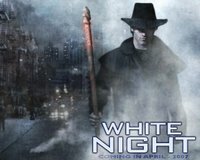 Anyone that has read any of the other books from "The Dresden Files" series knows Warden Morgan could NEVER do anything against the White Council, it is not in his nature. Dresden knows this and decides to take on the case and find out who framed Morgan for the murder. In the process of investigating this case Harry may have taken on more than he can handle. Not only might he have to go against the White Council. Every magical being and person is out to collect the huge bounty on Morgan's head. The biggest foe seems to be a magical creature known as a Skin Walker, from Native American lore. This creature is a shape shifter and very powerful flinger of magic, and fast to boot. The first battle with the Skin Walker (of which there are 3 in the book) proves to be fatal to one of Harry's friends. Harry must pull in all assets he can find, werewolves, White Court Vampires, faeries and even the White Council to prove Morgan's innocence and defeat this "Shagnasty." This book is one where from the opening sentence to the end, is non-stop action. Top it off with the great humor/sarcasm/wit of Harry Dresden and you will not want to stop listening. James Marsters captures the voice and being of Harry Dresden in the reading of this book that makes the listener feel as though their listening to Harry Dresden himself. I should point out that, yes that is the same James Marsters that played "Spike" in the "Buffy the Vampire Hunter" television series. His voice is perfect for the role. "My Big Fat Supernatural Wedding"
It's been a while since I've posted a review, so let me explain, it's not due to slacking off. Quite the contrary actually, first of all I've decided to tackle the gigantic tome that which is "Team of Rivals" by Doris Kearns Goodwin. The book is 994 pages and the audiobook is 36 cds. I went for the audiobook version thinking it would be easier. I could never settle for an abridged book so I dove head first. I'm not regretting it but it does take time, but the book is worth it as you will read in a future review. I did manage to squeeze in another book in between times listening to "...Rivals." I'm glad it was a collection of short stories in retrospect. The main reason I picked this book up to read is that it contained a short story by Jim Butcher that adds to the adventures of my favorite wizard, Chicago's own Harry Dresden. With the new book in the Dresden files series not yet released I had to absorb all the dresden I could find. So, while being treated to a very nice Dresden short story, I also got to read some pretty entertaining/interesting short stories from authors I might have missed before. And speaking of missing, as with all collections of short stories some are hits and some are misses in this book, but the misses are not really far off the mark, just not my cup of meat. All the stories in this book, as you could guess from the title, deal with weddings and what happens when different supernatural forces come into play. Known for her vampire huntress series of books L.A. Banks writes something a little different here. I was actually a little let down not by the story but that I was expecting a vampire story. The story follows the modern day Hatfield and McCoys. The feuding still goes on but Banks throws in an extra aspect to the showdown in that they are spell casters to boot. So the feud now involves some magic, hoodoo and other charms, but 2 young college students, a representative of each family, want to get married, to do so they spells must stop. But they don't, and through a little bit of fun and a little bit of nastiness can love survive? Best known for her "Weather Warden" and "Morganville Vampires" series Rachel Caine tackles the wedding theme by adding in some dead pirates. (oops a spoiler). With some humor and even a little romance grab a bottle of rum and have fun with this story. Again I was let down with the subject matter but I do have to say that this was a fun read. You see, I really like vampire stories and knowing P.N. Elrod is famous for vampire stories I expected them but what is in this story is not vampires. Okay so I got over that and read on, and had some fun. This wedding is being catered by a woman who can see the future, and the bride and groom (a famous wrestler and a famous model) have a bleak future. However the wedding singer has powers of his own. In what at first seems like an Elvis comes back from the dead story, comes the story of an Elvis impersonator...er, um tribute artist..that can change the future when love is involved. This one is fun and hey if you are prone to emotional outbursts keep the tissues handy. Not knowing what to expect here, I was ready for some entertainment, but this one just didn't grab me. This is a story about a wedding that is crashed by some Greek Gods. I just could not sink myself into this one. Like Jim Butcher, Lori Handeland writes a short story for this collection that is within the realm of one of her existing series. From Her "...Moon" series we join Jessie McQuade and Will Cadotte as they are about to get married. Jessie is a werewolf hunter of sorts and Will is a shaman. Jessie discovers someone may have enchanted them to fall in love with each other and only wanting to be married if it is TRUE love and not a spell, Jessie and Will seek the truth. Harris is another author writing within the realm of an existing series. This story comes from the Sookie Stackhouse (Southern Vampire) Series. So finally I get a vampire story. This time a female vampire wants to marry a male werewolf. In this series the idea is that vampires have revealed themselves to the world and are treated differently by the government. But werewolves are still a secret. Also Vampires cannot marry outside their vampire race. So radicals will do everthing they can to stop this wedding to keep the human race pure. Oh and also the werewolves and vampires are supposed to hate each other. This story makes me want to go out and find the Sookie Stackhouse series and start reading it. Kenyon writes this story with in the "Dark Hunter" series realm. The Dark-Hunters are immortal warriors pledged to the Greek goddess Artemis and dedicated to defending mankind against Daimons (vampires) and other assorted enemies: including a couple of rogue gods and goddesses. In this story an overprotective squire falls in love with a Dark-Hunter. This story is pretty much a novella coming in at 44 pages in length and dividen into chapters. It provides some great vampire hunting action and some interesting moments, a good read. This is one story I had a hard time trying to follow. It takes place in an alternate Victorian England known as Albion, where prominent families possess magicks. The somewhat detective team of Kit and Olivia have to figure out why a woman of social status has run away after her wedding was interrupted by someone that objected to the marriage but died before he could say why. Kit, Olivia and the Groom travel the countryside tracking down the woman using magic and then rescue her from an "Inquisitor." They soon find the woman may or may not be who she says she is. This story seemed to scream for a full length novel version. Jim Butcher has created an epic series of magick, swords and mythical beasts in the Codex Alera, and he's approaching the finale of the series according to his website book six is to be titled First Lord's Fury and will end the series. Knowing this and having listened to all the previous four installments, I listened as slowly as possible not wanting this relationship I have developed with the land of Alera and the born leader in Gaius Octavian, Tavi to his friends. Jim Butcher's creativity has created a world that I had hoped be able to visit forever. Once again Kate Reading provides a great auditory escape into Jim Butcher's world of Codex Alera. Her vocal characterizations are simple enough to put sound to the characters and to be able to inflect emotion into those same voices. The beginning of this series brought us the character of Tavi, who has a secret, the secret is slowly revealed throughout each book that Tavi is the son of Gaius Septimus, son of the First Lord of Alera and heir to that same title. Septimus was killed in a major battle between on of Alera's enemys, the Marat. Tavi's mother, Isana, hid Tavi's fury crafting abilities so that he would be safe from those that would assassinate him and the first lord to take over the crown. Tavi grows up without the ability to fury craft, making him a freak among the Alerans. The Alerans use a special magic/sorcery called fury crafting to call upon the furies of the elements to perform functions from the simplest tasks of lighting lamps, pumping water or building homes from wood or earth to military uses of flying, increasing strength, healing, or functioning at super human speed. Everyone in Alera can perform some fury crafting to some degree, the most powerful of which are leaders of the separate states in the land, and the First Lord being the most powerful of all. In Princep's Fury Tavi has been accepted as the Princep's (heir to the crown of First Lord), however the recent civil war in Alera has left many citizens disgruntled and wanting for something more than what Gaius Sextus, the First Lord, seems to offer. Alera has had many enemies surrounding the land The Marat to the south, the Ice Men to the north and across the sea to the west the Canim. Through diplomacy and kindness has created an ally through the Marat. While not so much of an ally, the Canim have agreed to cease hostilities as Tavi and his legion assist them in building ships and returning to their homeland. Tavi has earned the respect of the Canim Leader, Varg and through that a working relationship with the Canim. One other enemy that has come to Alera from unknown origins is the Vord. The the first book in the series Tavi awakend a Vord Queen while proving himself to the Marat leaders. The Vord is an insect like species that are extremely powerful. They take forms similar to the people in the lands they invade. They can takeover a living being body (animal or human) through a small taker that eats its way to the brain of the "host" and then controls the "host's" every move. Also the Vord Queen can read minds thus making her a dangerous enemy. Many people in Alera do not believe the Vord to be real, until now. The Vord have begun to attack Alera, this time around they are using fury crafting, which only Alerans have been able to do. This makes the Vord even more dangerous. To save Alera the First Lord, Gaius Sextus, has plans. The first of which is to send Count Bernard (Tavi's Uncle and a powerful fury crafter) and his wife Countess Amara (former cursor/spy for the First Lord) to discover how the Vord are able to suddenly use fury crafting. Next, in order to bring in more legions Gaius sends Tavi's mother Isana to the Shield Wall in the north, where the perpetual war with the Ice Men is waged, to form a truce so that the Legions there can come fight the Vord, and finally the First Lord lures the Vord to the Aleran capital where he can fight the Vord Queen. Killing the queen is the only way to stop the Vord. While the possible destruction of Alera goes on, Tavi has arrived with ships full of Canim in their homeland, only to discover that the Vord have destroyed all the people and lands save for one small faction fighting a never ending war with the Vord. Tavi must then fight the Vord side by side with the Canim to escape back to Alera. Once again, with Princep's Fury, Jim Butcher has created a masterpiece of high fantasy with excitment from many factions that will sweep you up in the excitement that is Codex Alera. Jim Butcher has yet again created a memorable masterpiece in the Codex Alera series. The story is set in the mystical land of Alera, whose residents seem to be descendants of Roman Legionnaires. As befits legionnaires of any time or place, there are plenty of stunning battles, heroic characters, and menace from both ingenious alien races and treacherous allies. Add to this the ability of Alerans to control different aspects of the forces of nature (fury crafting) and you have the ingredients for an exciting piece of literature that spans five books. Each title builds toward the conclusion of this saga, with the sixth and final book in the series scheduled for publication later this year. Narrator Kate Reading keeps the audiobook alive with a delicate command in her voice that demands attention. She accurately conveys excitement and danger, providing a good read that will lock in listeners and keep them engaged throughout the battle-filled story. Cursor’s Fury continues the adventures of Gaius Octavius, or Tavi, the only Aleran who cannot perform magic by controlling a part of nature. But Tavi is the grandson and only heir to the First Lord, Gaius Sextus. His true identity is kept secret to avoid assassination by those seeking to overthrow the First Lord. Tavi’s mother uses her water-fury crafting skills to prevent Tavi from developing what would no doubt be extremely powerful fury crafting. As a result, Tavi is forced to rely on his wits to overcome many serious tests that come his way. Recognizing his leadership skills and seeing through the veil created to hide Tavi, the First Lord, Gaius Sextus, realizes Tavi is his grandson. To protect him, Tavi is sent to train with a legion of recruits who are far away from civil strife. Because the First Lord has not named an heir to the throne, some of the major houses of Alera feel the need to overthrow the powerful First Lord and place themselves on that throne. The most ambitious of these is House Kalare. Lord Kalare has made it known that he will do anything to capture the throne, and in Cursor's Fury he makes his move. To help insure his victory, Lord Kalare allies himself with the Canim, one of the sworn enemies of Alera. The Canim are a humanoid/wolf race that live across the ocean from Alera. Lord Kalare asks the Canim to invade at the same time he attacks the First Lord. The plan seems to be working until it’s discovered that the Canim have something else in mind. They don't come over with merely an invading army, they come over with most of their population in order to take Alera themselves. And to emphasize the point, they burn their ships so they cannot return to their homeland. Meanwhile, instead of being out of harm’s way, Tavi's 1st Legion of "fish," finds they must fortify and hold the bridge to the city of Elinarch. The bridge is a strategic point where the Canim threaten to invade Alera. The young legionnaires are called fish because they are new recruits and, instead of knowing how to battle, they flop around like fish. Through a series of unplanned events, Tavi is forced into the rank of Captain and must use only his wits to lead the legion of "Knights Pisces" into a major battle that may decide the future of Alera. With a war on three fronts, this book is full of exciting action and a great cast of characters. Codex Alera is one series that is worth reading, or better yet, hearing again and again. As any of my friends in Chicago can verify, life in the Windy City can be hectic and still full of adventure. Well, to say that's an understatement in Harry Dresden's Chicago is in itself an understatement. Harry Dresden is a wizard and private investigator that has set up shop in Chicago. Harry has a hero streak in which he HAS to help the common man. Oh yeah, he's also a warden for the White Council (the governing body of wizards world-wide), holder of one of the swords of the Knights of the Cross (which he is supposed to be find a true holder), fighting off possession of Lasciel (a fallen angel/Denarian), mentor to a teenage wizard, half-brother to a vampire of the White Court (a vampire that lives off sexual energy) and consultant to the Chicago P.D. Special investigations division. Busy guy. If that weren't enough, Harry is sometimes called upon in his duties as warden to train new wizard recruits for the war between the White Council and the Red Court of Vampires. The war has taken its toll on the White Council, thus the reason Harry, of all people, has been made a warden, and new wizards are few and far between. The wizard's power is passed down through the mother's line of ancestry. In this book someone is targeting female wizards with small amounts of power, and killing them. The women targeted are not powerful enough to be part of the White Council but have enough power to perform small magicks and they all seem to be suicides.. The person who is last seen with the murdered/suicidal women seems to be either Harry or his half-brother Thomas. Sgt. Karrin Murphy of the C.P.D. S.I. calls in Harry on one scene due to some strange circumstances on the scene. The suicide just doesn't feel right to Murphy. Harry soon discovers a "magical" message that was meant only for him to find. The message is, "Exodus 22:18," a Bible quote which states, "Suffer not a witch to live." Harry soon finds this hidden message on the body of another victim. The second victim was made to look like a suicide, but with the help of Harry's apprentice, he discovers she died in sexual ecstasy, as in an attack of a sexual vampire, from the White Court. Suspecting his half-brother, Harry tries to find why Thomas is avoiding all of Harry's attempts to communicate. Harry goes to Thomas' home and finds a map with all the addresses of the missing women and some of the dead ones. Harry knows Thomas is not capable of such acts and tracks him down. What comes next is a conspiracy within the White Court of vampires, an attack on Harry's psyche, an attempt to destroy the White Council of wizards, and a huge battle between vampires, wizards and an army of mercenaries hired by Chicago's own crime boss, "Gentleman" Johnny Marcone. Things just aren't easy for Harry, but that same excitement is what makes the Dresden Files books a great series to sink your teeth into. I will warn you it would be best if you picked up the first book, "Storm Front" and read them in order before you get to this book, which is number nine in the series, because of plot points that were started in earlier novels. Trust me, once you read one you'll want to get through the series as fast as you can. Things just never get easy for Harry Dresden. The White Council who always had it out for him has recently mad Harry a Warden for the White Council (basically the police force for the wizarding community). You'd think with this promotion Harry Dresden, wizard/private investigator, would be more accepted. But at the beginning of this book, Proven Guilty, a trial is being held for a young man that has used magic to influence the mind of a human, this not only breaks one of the 7 laws of magic but also uses black magic which can bring harm the user. As with most trials conducted by the White Council the youth is found guilty,declared a warlock and sentenced quickly. There is only one sentence for breaking the laws; DEATH. The White Council held this trial in Chicago to make sure Harry saw the outcome. Harry remarks how blood does not stain the gray cloaks of the wardens as he is forced to watch the beheading of the warlock. With this impression made Harry and the rest of the council depart. Most go off to continue the war with the Red Court Vampires, others go off to continue their duties. Harry in the meantime is contacted by The Gatekeeper, a higher up Council member that through some mysterious method of sending a message from the future asks Harry to investigate some black magic going on in Chicago. Before I go too much further I would like to talk about the Dresden Files series in general. I've said before that Jim Butcher has created one of the best series of myth / magic / and mayhem with this series. One of the things that makes these books so good is they always start out with some big event grab you and you have no choice but to hang on and enjoy the ride. Proven Guilty is no exception. Without giving too much of a spoiler hereI will point out that the beginning and the end of this book is perfectly bookended and not only comes full circle but hits with some great life lessons. In fact I love the way Jim Butcher through Harry Dresden turns the Parable of the Talents from they Holy Bible into the catch phrase of Stan Lee's Spider-Man, "With great power comes great responsibility." Back to the story...the black magic Harry has to track down seems to be occurring at "Splatter-Con" a convention held in Downtown Chicago celebrating the art of horror movies. Creatures from the movies are coming to life and attacking the patrons of "Splatter-Con." One of the many talents of Jim Butcher is to be able to write some wit and humor into these stories, in fact Harry Dresden wouldn't be worth reading about if it weren't for the quality of "wise-assness." During some of the magical battle scenes with some of the more popular creatures, Harry Dresden quotes the movies with some great tact and fun reactions. The creatures creating the monsters are known as fetches, they are from the "Nevernever" and they feed off fear. The fetches have come for the daughter of Michael Carpenter, Michael is a Knight of the Cross...yes THE CROSS...and is God's swordsman (one of 2 left). It seems that Michaels daughter, Molly,has some magic abilities and the fetches abduct her. Now it is up to Harry to rescue her. With a rescue party that features, Karrin Murphy of Chicago PD, Harry's half-brother/ White Court vampire, Thomas and Molly's mother, Charity, Harry follows the fetches into Arctis Tor, the castle of the Winter Queen and fights off the fetches, the faerie and fae of Winter's court, the Erlking and many more to come to an exciting climax which then forces Harry to bring Molly in to a trial with the White Council. For some great action, thrills, chases and everything that makes a great read the Dresden Files is the perfect series, and Proven Guilty fits into the series offering even better action, thrills, chases and everything mythical and magical. Jim Butcher wanted to create what he called a "sword and horses" novel and the Codex Alera series is that and more. This high fantasy series is very successful in creating a new world where swords are the weapon of choice and the horse is one of the main transportation methods. However, Butcher did not limit himself to these two concepts when creating his world. Other weapons include furies, a type of sorcery using the elements. The furies are also the answer to transportation as well as communication and medical arts. Basing all this on the ideals of the Roman Legionnaires, Butcher's writing not only provides excellent battle scenes but great characters that live in a four dimensional universe. Academ's Fury builds on that foundation and not only pushes the series along but also is an intriguing read in and of itself. The narrator, Kate Reading, has a touch of a British accent that brings a classic quality to the book. Her accent gives this sword and sorcery novel the feel of an Arthurian tale. At the same time, she provides the perfect level of emotion during the warm moments of love between the characters and, when needed, bursts of excitement during the novel's tense battles. She can deliver lump-in-the-throat speeches as well as screaming enemy attacks. 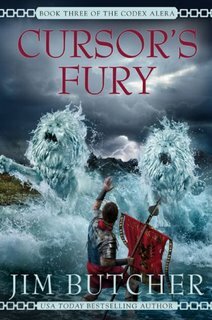 Academ's Fury picks up 2 years after the events in the book, Furies of Calderon. The hero, Tavi, lacks the ability to control the furies (fury crafting), making him a "freak" in Alera.. Studying to become a cursor, or messenger, for the First Lord (Emperor) of Alera, Tavi learns the job also requires becoming a spy and a warrior. As his studies near their end a new danger comes to the capitol of Alera, where the First Lord resides and is the home for the acadamy Tavi is attending. This new danger is in the form of a being known as the Vord. The Vord is an insect-like race also referred to as shapeshifters. The Vord gain control of the body and mind of an enemy, creating a zombie with a Vord mind to battle their enemies. This tactic is a demoralizing weapon because the body taken over by the Vord, perhaps a loved one or even a child, becomes a treacherous killer. In any great story a hero will have his ultimate villain, Batman has the Joker, Spider-Man has Venom. Jim Butcher has created one of the most ultimate nemeses of all time with this race of Vord. They are powerful, dark and complex. Tavi awakened the Vord in the first novel in the Codex Alera, Furies of Calderon, by spilling some of his own blood on the Vord nest in the wax forest. This not only awakened the Vord but also made Tavi a target. When the Vord expands its community it separates into 3 queens, which move to different locations and set up new nests to conquer all life in that area. Duroga, a clan leader of the Murat, has come to warn Tavi's uncle of the danger after destroying one of the three nests. The other two must be destroyed or all of Alera will fall. One nest is in Calderon Valley the other is seeking Tavi in the capitol city. While this new danger is going on there also exists the beginnings of a civil war in Alera due to the First Lord having no heir. So with complications of politics piling on top of the pending destruction of humanity, Tavi must use his wits and strength to save Alera. This book is cram-packed with excitement that will keep you up until you hear the final sentence, and even there you will be reaching for the next novel in the series. Book 7 of the "Dresden Files"
Once again Jim Butcher has created a great novel of suspense, action, thrills, and dare I say... a little romance, featuring the coolest wizard of all time Harry Dresden. 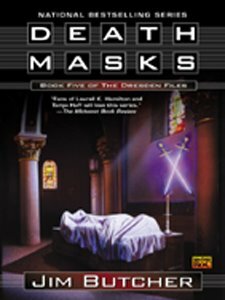 In this novel the Wardens of the White Council are all but wiped out by the Red Court Vampires, all of humanity is threatened by the Erlking, Chicago will be destroyed by 5 necromancers seeking godhood, Harry Dresden faces a Fallen Angel that threatens to take over his soul, and his half brother is a slob. But hey, this is just a typical Halloween for Chicago's wizard for hire Harry Dresden. This title of this edition of the "Dresden Files," "Dead Beat," refers not to Harry having to hunt down a dad not paying child support but rather the relentless toll the never ending perils facing humanity that he must defeat, thus leaving his body "Dead Beat." One thing I've noticed in all the Dresden files books I've read is it seems that Wizard Harry Dresden always takes on more than seems like he can handle, but usually through friends and sometimes pure dumb luck he comes out on top. He always seems reluctant to ask for help but eventually volunteers come out of the woodwork. That excitement of not knowing whether he will survive the ordeal and the absolutely wonderful wit and humor by author Jim Butcher keeps me coming back to these books. This book however Harry finally admits he's in over his head and asks for help from the Wardens of the White Council. The White Council is the Justice League for wizards and out to battle evildoers, the Wardens are their police force. The problem is , when Harry asks for help it's a bad time for the White Council, the ongoing war between the Red Court and the White Council (started by Harry, by the way) has cut down the number of Wardens from 200 to only 50 remaining alive around the world. Thus only 5 can come to Harry's aid. In the process and much to the dismay of Morgan, the Warden that hates Harry, the Council makes Harry a Warden. But before I get to far ahead of myself, let's talk about what happens here. Harry gets a message from Mavra, the leader of the Black Court of vampires who Harry supposedly destroyed in the last book, apparantly Mavra got away and now wishes to speak to Harry. Remember the Black Court are the most evil of all the vampire courts and are the ones best represented in the Bram Stoker novel, rumor has it that the White Council encouraged Stoker to write that book so the average joe can kill a Black Court vampire, which led to their near extinction. It seems Mavra wants Harry to find a book for her. Only this book is the ultimate of all evils and the ultimate book of Necromancy, black magic raising the spirits of the dead. With this book Mavra could become a god. The catch is that if Harry doesn't find this book, Mavra will destroy the life of Harry's best friend and possible love interest, Lt. Karrin Murphy of the Chicago PD Special Investigations. A little blackmail and Harry pretty much has to do this, actually this is where chivalry gets the best of Harry Dresden. At the same time Harry is searching for this book, 3 days before Halloween, 5 powerful Necromancers are also looking for this book. When they learn Harry is searching for the book they now have to hunt down Harry. Dresden learns that the necromancers will use this book to raise the Erlking, a faerie king that can destroy humanity, and make one of the 5 a god with ultimate power to destroy all of mankind. The race is on and Harry is finding these necromancers too powerful to be handled alone. Harry decides to call in the Cavalry, in this case the Wardens. Keep in mind here that Harry has been under constant surveillance by the Wardens and under the most extreme scrutiny that if he were to ever delve into the Black Arts, he would be executed immediately. Well the Wardens come in to help but before they do they make Harry a Warden, big decision for Harry. He accepts and they go to battle with the Necromancers. 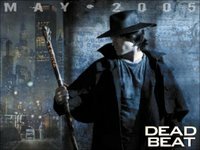 Big action, big thrills, big suspense in "Dead Beat" the 7th book in the Dresden Files series by Jim Butcher. A little bit of a spoiler before I go--- It is so cool when Harry goes riding through Chicago on the back of a T-rex with a polka playing one man band riding with him. Jim Butcher has created a wonderful new world of fantasy in the series known as Codex Alera. This first book in the series introduces all the main characters and the creatures and events that make Alera a great world in which any reader could get lost. The narrator, Kate Reading, delivers the punch when needed in this epic adventure and when needed vocalizes the perfect emotional tone during the various emotions in the tale. Kate Reading's voice easily relays the sense of loss or hope, and when needed, she can drum up the excitement for all the battle scenes. Jim Butcher has written all the words to describe the various scenes and settings that make this an exciting read, but Kaet Reading's delivery makes it so the audiobook listener gets completely immersed in the land of Alera. The people of Alera have special abilities called fury-crafting. The Alerans have tamed the furies to assist them in their every day jobs. The furies represent the main elements; earth, metal, wood, fire, water and air. The earth furies manipulate earth and stone and allow earth fury-crafters to gain more strength and be great hunters/trackers. The metal crafters make superior swordsmen. The wood crafters manipulate plants and trees great for making camouflage and increasing accuracy of arrows. The fire crafters not only manipulate fire but can also use the fire furies to manipulate human emotion. The water crafters tame the waters to communicate over long distance, heal others, keep a youthful appearance and detect emotions. The air crafters have the ability of flight and increased speed and agility as well as the ability to bend air to listen or see long distances. All these powers make the Alerans masters of their domains and yes some small skirmishes may erupt but the land is governed by Gaius Sextus, First Lord of alera. Gaius is getting older and after the death of his son, lacks an heir, so a war of who could be First Lord seems imminent. In the Calderon Valley there lives a "disabled" boy by the name of Tavi. Tavi lives on Bernardholt with his uncle Bernard an earth and wood crafter, and aunt Isana, a water crafter. The reason Tavi is disabled is that he lacks any fury crafting skills, and this does not happen in Alera. Tavi has learned to use his intelligence to get out of a situation instead of relying on furies. In Furies of Calderon, which is book one of the Codex Alera, which so far there are six books in the series, the Tolkienesque adventures in Alera are unleashed. Tavi has lost his flock of sheep and he and his uncle go out to find them, instead they find that the Murat (a violent and dangerous race of humanoids that have tribal affiliations with certain animals in the realm) are invading the Calderon Valley, after a near fatal encounter Bernard is wounded and may die if not healed soon, Tavi stays to mislead the Murat warriors so that Bernard can be taken to safety. At the same time a strong Fury Storm erupts in the valley and Tavi has to seek shelter or die from the Murat attack or the furies in the storm. As he's running for shelter he finds a runaway slave girl, Amara (who is actually a spy sent from Gaius to find what is happening in the Calderon Valley) and risks his life to help her. At this same time three mercenaries find their way to Bernardholt seeking shelter from the storm. The three are looking for Amara to keep her from warning the steadholders of the coming war, and are also there to start the war so Gaius looks week and House Aquitaine can take the throne. Amara takes Tavi into the night to warn the Count ruling calderon, since Tavi is the one who has seen the Murat. During their escape Tavi and the slave with a secret, Fade, are captured by the Murat, Amara and Bernard make it to the garrison to warn the count but meet opposition from a second in command that does not believe them and barely prepares the garrison for the battle, Isana and one of the mercenaries are captured by an evil steadholder who wishes to "break" them and make them his slaves. As the separate parties go on their own adventures working to stop a war in Alera excitement abounds in this first book of what is proving to be a great fantasy series. Be prepared for a fun read with some all the highs and lows of the emotional gamut. Book 6 of "The Dresden Files," "Blood Rites," starts out with the wizard Harry Dresden, running down the hallways of an old school saving a box full of puppies from flying monkey demons that fling balls of flaming poo. How can you not get hooked from that? After all he's saving puppies, dodging demons & poo all within the first 10 pages. He manages to save the puppies and destroy the flying monkeys but as with all the books in "The Dresden Files," that is only the beginning. You see, Harry Dresden is a wizard for hire and is ready to help the common man, sometimes he gets paid for it and sometimes not. He is also a sometime consultant for the Chicago P.D. Special Investigations department headed by Lt. Karrin Murphy. -- White Court Vampires: These vampires are the type that feed on the emotional energy of humans to survive. --Black Court Vampires: These vampires are the type most similar to the Dracula legends. They are reanimated corpses that feed on blood of the living. There are few of this court remaining due to the popularity of the novel Dracula, but the ones that still remain are some of the strongest known. --Red Court Vampires: These vampires are similar to the Black type, who feed on blood. Harry recently destroyed the leader of the Red Court and has learned that Mavra, the leader of the Black Court has set up shop in Chicago, so Harry must destroy the Black Court vampires. At this same time Thomas Raith,son of Lord Raith the leader of the White Court, has asked Harry to help out a film producer whose fledgling film company is being attacked by a malacchio, the evil eye type curse, which is killing the females associated with the producer. Thomas is one of Harry's friends and is the driver of the getaway car when running away from the flying monkey demons. As they return the box of puppies to the person that hired them, who turns out to be a monk from a Tibetan temple that is to be guarded by the puppies, one of the puppies ends up missing. Later the pup is found in Harry's car and Harry adopts the pup since the owner cannot be located. Now Harry has 2 major things to worry about; destroying Mavra and the Black Court, and finding out who is cursing the film producer. Oh, I guess you could add a third, staying alive through all this. Once again that is just the beginning through the book Harry learns a secret that will forever bond him with Thomas Raith and could bring down the White Court Vampires. To fight the Black Court, Harry calls on help from Lt. Karrin Murphy, Kincaid, an assassin for hire and bodyguard for The Archive (The Archive is the little girl that represents the knowledge of all time) and his old mentor Ebenezer McCoy (the man who took Harry in after Harry killed his uncle). But in this case a new question comes out about Kincaid and Ebenezer and Ebenezers role in the White Council of Wizards, a dark secret revealed about Harry's mother and Ebenezer's role in the Council. It turns out that Thomas' family is behind the curse on the film producer, by the way the films produced are adult films, so the ever chivalrous and modest Harry is put to the test on the set. While it appears that the producer is the focus of the curse the gain from the curse and the problems created run much deeper than just to keep a man from making money in films. It seems that as I read more and more of these novels by Jim Butcher each one becomes a turning point in the life of Harry Dresden. In this one he learns family secrets vital to his future, receives a major injury that reveals another demon after him, another demon is unleashed in the curse that has it out for Harry, and finally Harry gets a new roommate and guard dog. These books are full of action and excitement, and with Jim Butcher's ability to weave a tale, keep you hungry for more. Jim Butcher has created a Lord of the Rings series for today’s generation. The Codex Alera series takes place in a mythical/mystical land called Alera. The Alerans are humans who have a special ability known as fury crafting. In fury crafting the Alerans manifest the spirits of the elements to create magic and maintain life. From simple fury lamps, which use fire furies to provide light, to earth furies which can create shelter and gain extra strength in battle, all Alerans control their elements. All Alerans except for Tavi (a.k.a.Gaius Octavian/Captain Rufus Scipio). Tavi is forced to live with his "disability" by using his wits. Later in the series (about book 3) Tavi learns some limited fury crafting, but nowhere near the abilities of the regular Alerans. Before we get into the meat of this audiobook review let me first say I may be a little biased due to my huge fanship of Jim Butcher's Dresden Files books. I love his characterizations in those books and have declared myself an official Jim Butcher fanboy. I have read his other novel which is based on the Marvel Superhero Spiderman, another of my favorites, and have been interested in reading the Codex Alera series. I wanted to first finish the Dresden books but when the opportunity to review this book came up, I more than jumped on it. I did want to read the Codex Alera books in order, but the opportunity began with Book Four, so I did some quick research and got the gist of the series to prepare myself for book four. In retrospect the research helped, but I didn't really need it. Jim Butcher continues the series but when needed, he recaps what has happened enough to keep the reader in the know, but still enough to make you want to go back and read the series, which I will. This review is for the audiobook version of the book and I'll tell you right off that I'm glad I started this series with an audiobook. First of all there's the convenience of an audiobook, you can listen while commuting, while exercising, while doing housework or heck, even while showering. Second, this audiobook was so well read by Kate Reading. (I think her last name is very fitting, but I should say it's pronounced RED-ing.) There are many characters throughout this book and series and Kate Reading makes the subtle changes in her reading that the voices of the different characters really stand out. Another aspect of her reading is the portrayal of emotions of the characters and the excitement of the action. The emotions and excitement are subtle enough for the listener to still maintain their own interpretations but also enough to capture the mood created by the author. The audiobook production of Captain's Fury is very well done in that the pace of the reading is kept up with the pace of the written material, when needed the excitement is allowed to carry the action with a fast pace, while during times of the book when explanation of past events are needed the reader and the direction slow to allow the listener to absorb the information. Okay, let's talk about the story. In this book Tavi's mysterious origin is discovered. It seems Tavi has more in store for his future than simply being a captain of the First Aleran Legion. This book is the turnaround book where Tavi becomes more as well as many other characters in the series. The beginning of the book finds Tavi in charge of an attack on the invading Canim, a race of wolf-like humanoids that have invaded Alera by crossing the sea. This book also explains why the Canim came to "invade." It turns out not to be an invasion, but rather an escape from a force that is also a threat to the Alerans. One of the reasons I referred to this book as, "Lord of the Rings series for today’s generation," is that the book is part of an ongoing series with mythical creatures that are battling separate wars but you can tell a central battle between good and evil is forthcoming. Also that the book covers characters that start out with one central mission and branch out into several side but related missions, and from what I can see will be regrouping to fight the main battle. However, Codex Alera has already gone more than Tolkien's 3 book series to this 4th book and more. And finally to justify my comparison, Jim Butcher's writing is not only fun and adventurous but also has a great literary feel that could easily be studied by scholar's for years to come. On a final note, an interesting aspect of this book is the constant reference to the Roman Empire are great and not accidental. The most obvious references to Rome and its era is the use of terms like Legionare, Legion, patriserus, and other such terms. Also, the names of many characters are Latin styled. Maximus, Gaius, etc. Jim Butcher had this to say about his fascination with the Romans, "There's plenty of Lost Roman Legion stories out there. Mostly, the stories are about where they went, and what they did when they got there. This one just happens to be about the world they got lost on, and the society that developed there over the next couple of thousand years." 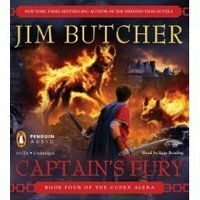 So do yourself a favor and pick up the Captain's Fury, by Jim Butcher, audiobook and jump ahead into the Aleran world. 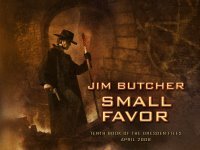 Good news comes via Jim Butcher's website that the other books will be released soon on audiobook so you can go back and listen to the history of Tavi. An old bargain has placed Harry in debt to Mab, monarch of the Winter Court of the Sidhe, the Queen of Air and Darkness-and she's calling in her marker. It's a small favor he can't refuse...one that will trap Harry Dresden between a nightmarish foe and an equally deadly ally, and one that will strain his skills-and loyalties-to their very limits. That's what lures the reader into this tenth installment of the Dresden Files and the exploits of the better Wizard named Harry...Harry Dresden that is. I decided to give this latest book by Jim Butcher a go before reading books 6-9 for one main reason. As you know from reading my past reviews, I like to read book series in order but sometimes you just have to jump around. The reason for this jump is that I wanted to listen to the audiobook. The audiobooks in this series are all narrated by James Marsters. He's the actor that played "Spike" in the "Buffy the Vampire" and "Angel" TV series. His narration really brings these books to life...maybe if they would have cast him in the TV series it wouldn't have been cancelled ...naw...Paul Blackthorne did an excellent job on the TV series, the Sci-Fi channel just didn't know what they had. Okay let's talk about this book. The title should give this one away, basically Harry owes Mab 3 favors, he's delivered one, now she's come to collect the second. Gentleman Johnny Marcone, the Chicago crime boss has been captured by the Denarians and Mab wants him back. The Denarians are also known as the Fallen, as in Fallen angels. There are 30 of them and they each have a silver coin which houses the demon that takes over their souls. (30 pieces of silver sound familiar?) They are the sworn enemies of "The Knights of the Cross." Harry's friend Michael is one such knight and he carries a sword in which a nail from THE CROSS is embedded. The problem is the knights cannot go after the fallen, they have to try to turn them back to god first, then as a last resort kill them with the holy swords and take the coin and put into safekeeping with the church. In order to negotiate with the Denarians, Harry must have a council of the White Court of Wizards, kind of like in order for the President to go to war he must get congress to agree. In doing so Harry must get the Archive (Knowledge of all time in the body of a young girl) to be his emissary. When the Archive arrives in Chicago she is captured by the Denarians. Now Harry must rescue her and Gentleman Johnny Marcone. Oh yeah and while all this is happening, the summer court has decided to kill Harry. In doing so the court sends goat like creatures to hunt Harry down. The creatures are called Gruffs and as he defeats each one (remember he's battling the Gruffs while fighting Denarians and trying to rescue Marcone and the Archive) their elder brother comes later and each elder brother is bigger and badder. (3 billy goats gruff...heh heh). In this series Jim Butcher not only has really great characters but the creatures he comes up with are always interesting. So if you like wizards, vampires, Holy Knights, fallen angels, mythical creatures, faerie and fae, check out Jim Butcher's Dresden Files series of books.